(CBS News) – More than 100 Walmart stores around the country shut their doors Thursday for good — many in small towns and rural areas with few other shopping options. The retailer cites a long-term strategy shift and financial performance. Company shares are down 25 percent over the past 12 months, and the nationwide closures will also impact thousands of employees, reports CBS News correspondent David Begnaud. She’s talking about “Pettit’s,” the mom and pop grocery that was a mainstay in this small town for nearly 60 years. “Business – it just quit coming,” Larry Deeds, the store’s co-owner said. Pettit’s closed about nine months after Walmart opened. “It’s almost enough to bring a tear to your eye to see all these shelves empty,” said Will Pettit, who worked here since he was 16. When Walmart moved in last year, Whitewright’s Mayor Allen West said a little competition from Walmart was a good thing. But now that it’s leaving, “it’s going to hurt the city financially, it’s going to hurt the citizens economically and not good for their mental status,” the mayor said. But Deeds said Walmart doesn’t deserve all the blame. “I lost some customers that had been coming to me for 20 or more years,” Deeds said. 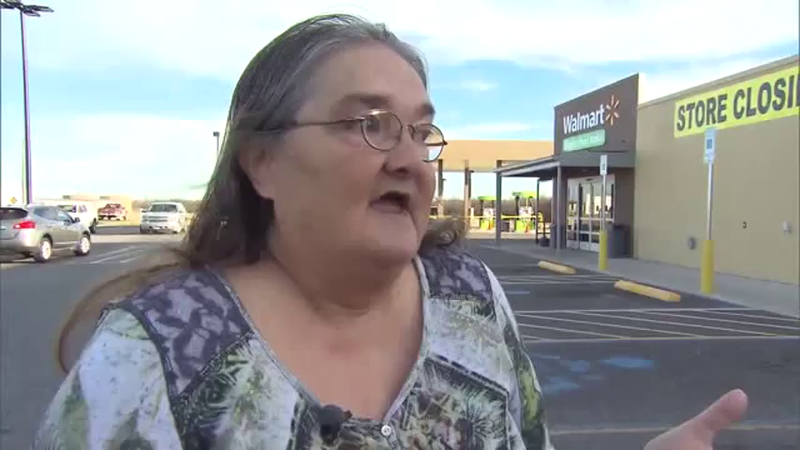 And now that Walmart is closed, Retha Thompson will drive half an hour to the closest grocery store. “It won’t be Walmart. I’m done with Walmart,” Thompson said. Two of Thompson’s daughters-in-law were Walmart employees. They were offered either a severance package or the opportunity to relocate to work at another store, as goes for thousands of other employees across the country. 1. a) How many Walmart stores closed last week in 27 states across the country? 2. 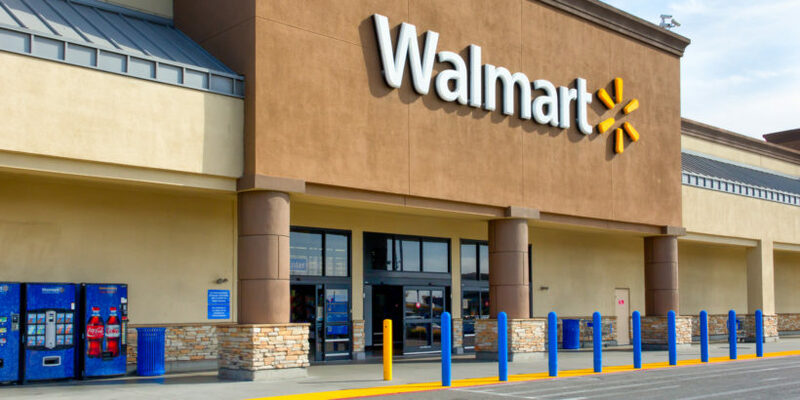 What two reasons does Walmart give for their decision to close these stores? 3. a) What problem did Walmart create by closing its store in Whitewright, Texas? Be specific. b) What has Whitewright’s Mayor Allen West said about Walmart’s closing? 4. a) What compensation is Walmart offering to employees from the stores that closed? b) Do you think Walmart is obligated to do more, less or this is the right thing to do for employees? Explain your answer. 5. a) In a statement to CBS News, what did Walmart say the company is doing in the communities impacted by the stores’ closings? b) In your opinion, do these efforts make up for the closures? Is this more than what the company should do, or is there something else they should do? Walmart is responsible to stockholders. Shares in Walmart have fallen 25% in 12 months. The company must cut the stores causing the value of the stocks to fall so drastically – it has an obligation to its shareholders. Walmart is responsible to the community in which it opens a store. It is horrible community relations – makes the brand look bad and gives Americans very bad feelings toward Walmart – people think Walmart is a bad company. Do you think Walmart has any obligation to a community, or should have? If so, what? As a huge nationwide store, Walmart is in a unique position – everyone needs groceries – if it was a Staples or Bust Buy it would be different. A CVS or Walgreens pharmacy, if the only pharmacy in town, should have the same obligation to the community that Walmart does. Another entrepreneur who would like to open a grocery store in the community can now do so without the competition from Walmart. The mayor should try to persuade another chain store to open: perhaps a smaller regional grocery store. The people of the community are partly responsible – their desire for cheaper groceries and a wider variety caused them to abandon the store that they had shopped at for many years. What responsibility does a community have to still shop at the “mom and pop” store? By taking all of their business to Walmart (for the price/variety of products, etc.) they are part of the reason the small stores close. Amazon sells almost everything online including grocery items. They have hurt “brick and mortar” stores. Do they have any obligation to communities to not hurt smaller stores (electronics, small appliances, etc.) that cannot compete with their prices)?